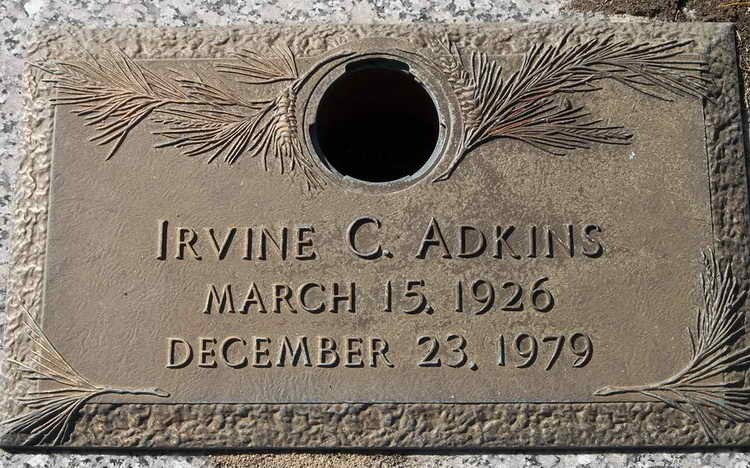 Grave marker for Irvine C. Adkins in Lafayette Memorial Park, Fayetteville (Cumberland county), North Carolina. Irvine enlisted in the Army at Camp Shelby, MS in 8 June 1944. On 22 October 1945, Pfc Adkins was transferred from the 101st Airborne Division to Hq 2nd, 508 PIR. He was discharged on 3 June 1946.